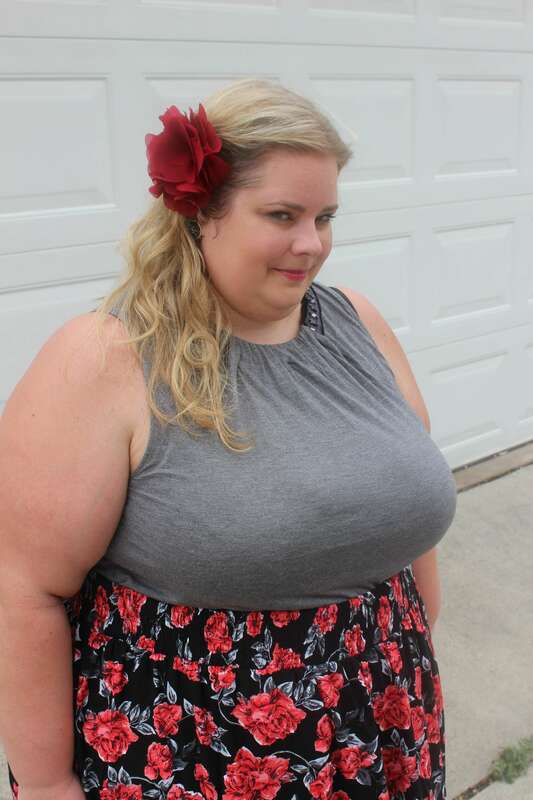 Today’s post is a celebration of Torrid coming to Canada! Can I get a woohoo? 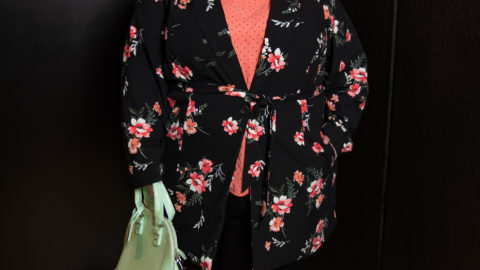 I think it’s no secret that Torrid is one of my favourite brands. After I lost weight and I could fit back into a size 28, I happened upon them one day when I was in Walden Galleria Mall in Buffalo. I remember a few years back that their size range didn’t go up to a 28 and I guess I always felt that their clothes were too “young” for me. But I decided to put aside my preconceived notions and check it out and I was glad I did. It has been about a year and a half since I first walked in to the store and now a days it is hard to get me to walk out! What I love about them is their fit and fashion forward styles. I also think they have a great variety of options to suit many personalities. Whether you want to be feminine and flirty or you like a more edgy look, they have it all. I consistently order online and have it shipped to store and I find that I hardly ever have to return anything because the fit is so consistent for every type of garment I order. Given that there is so much inconsistency in sizing in the plus size fashion industry, I appreciate their consistency immensely. When you have to rely on online shopping it gives you piece of mind. 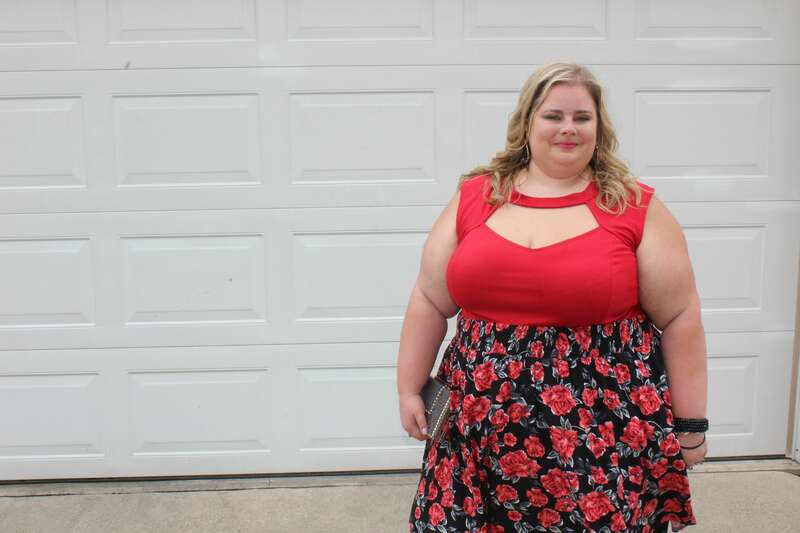 I also think that it is fabulous that they give woman from size 12 to 28 the opportunity to wear stylish clothing, there is no size discrimination! And yes that’s right ladies, they now carry a size 6 in a selection of tops and bottoms as well as a size 30 in some dresses. This girl is patiently waiting for the size 30 jeans to come out to accommodate my thighs! Hopefully the Torrid “fairy godmothers“ are listening and will grant me my wish. 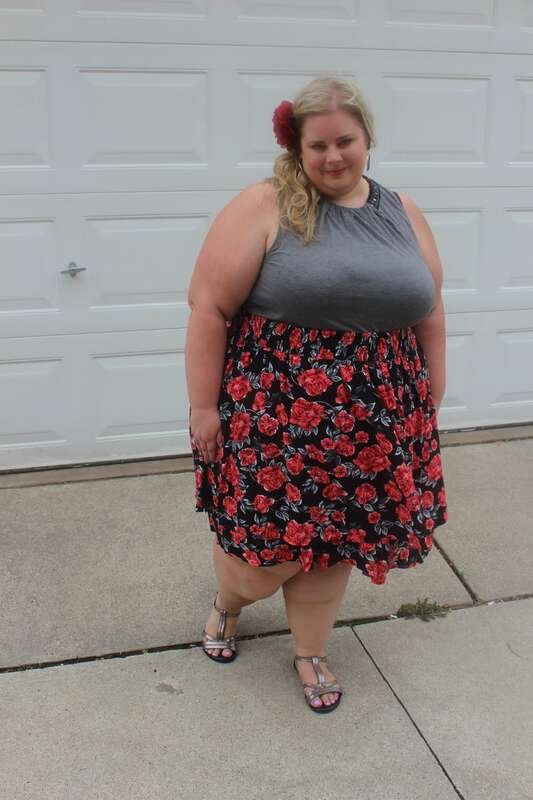 So the look for this post is based on wearing one skirt, 3 ways. This gorgeous floral tiered A-line skirt came out a few months ago and it was certainly one of those must have pieces. I love the colour combo of red, grey and black as it can be worn all year and it was so fun. I also liked that it hit me right at the knee, not too short, not too long but just right. I am wearing the size 5. I could have sized down in this as there is significant room in the waist but given that the fabric doesn’t have a lot of give I decided I wanted the volume. For this first look, I went boho, which is outside of my comfort zone. I haven’t really jumped on the crop top bandwagon so I decided to give it a whirl with this lace bralette, also from Torrid. I am in love with these new bralettes, if you don’t want to wear it as a crop top, it is also a great alternative to a cami underneath a shirt. 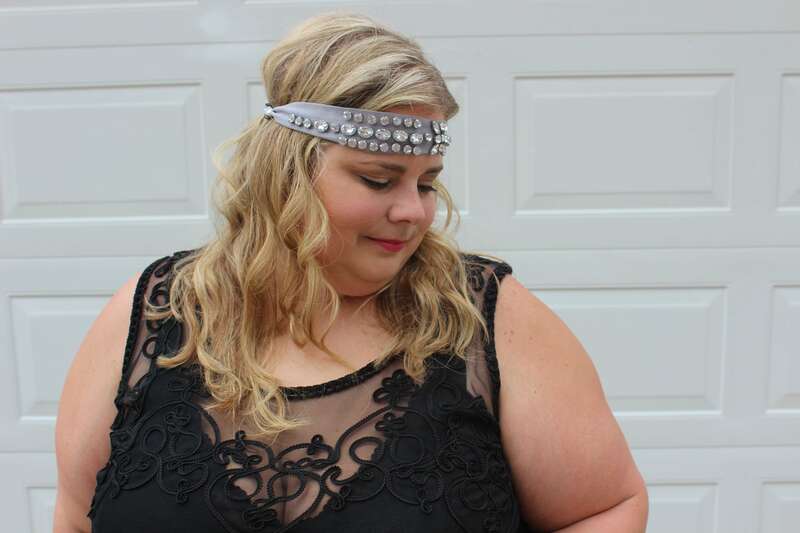 For some of the photos I decided to throw this stunning lace applique tank over top, also from Torrid. In the end, I think I liked it best without but I love the details. I am wearing a size 5 in the bralette and a size 4 in the tank. My headband is also from Torrid. 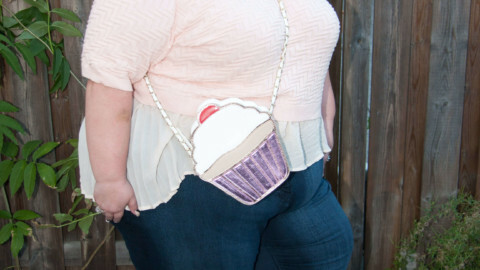 Honestly, they have the most fabulous accessories. The headband had enough sparkle so that was the only accessory I needed. I think this look would be super fun for a night out on the town with the girls, a concert or festival. With the second look, I wanted to make the look a little more date night. So I chose to pair it with this red peplum top from Torrid but tuck it in to accentuate my waist. 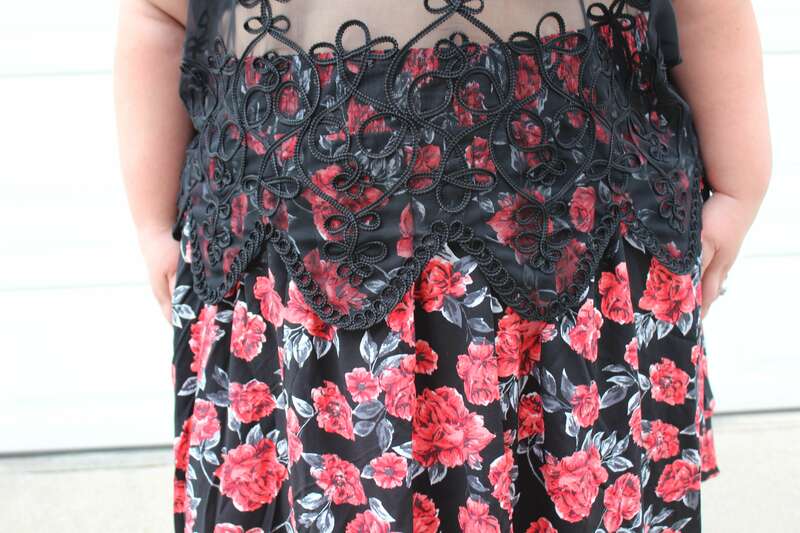 I love the little details that Torrid puts in many of it pieces and on this one it is the cut outs and gold zipper detail that make it stand out. I am wearing a size 4. I added a grey clutch with gold studs, some black statement earrings and black bangles to complete the look. For the final look, I wanted to make it more flirty. In this case, I chose to pair it with this grey shirt from Lane Bryant’s 6th & Lane collection. 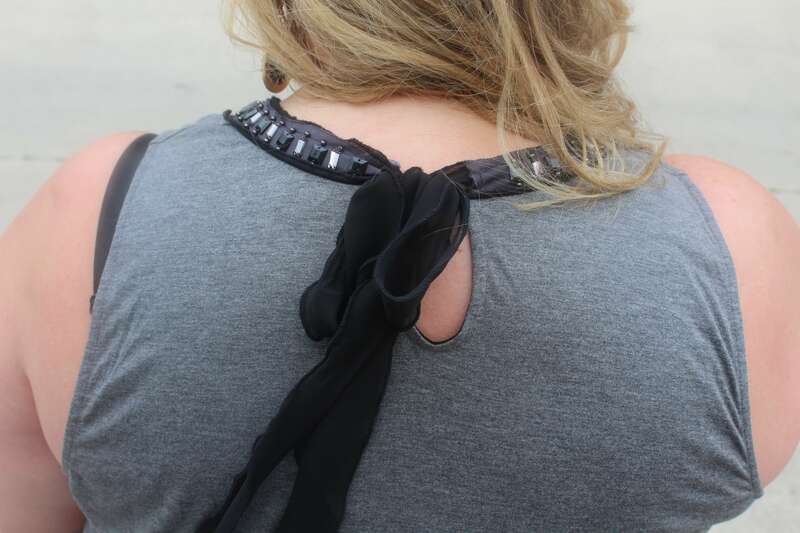 I love this shirt because of the beautiful ribbon neckline with beading. It is such a unique piece. To pull the look together I added a flower to my hair, kept the black statement earrings and swapped out my black wedges for my casual pewter metallic sandals. 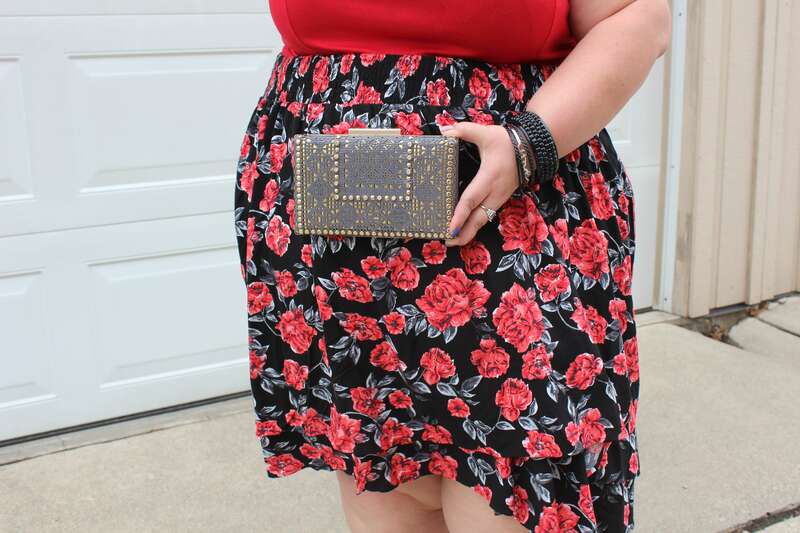 So I hope you can see the versatility in some of my Torrid pieces. Are you ready to come shopping with me? Are you ready to become a Torrid Insider? Well I have special news for you! I am pleased to announce that I will be at the grand opening of the Eaton Centre location on September 1st. Come by and say hello – I’d love to help you pick out a new look! Thank you to Thera Warren of Cloud 14+ for the photos and pushing me outside my comfort zone. I just recently ordered my first item from Torrid and it was a Little Mermaid skater dress! Yes, it’s whimsy, and yes, I’m also 36, but I loved the dress – I had to have it for the summer! We all need a little fun and whimsy in our lives, at any age. I’m very excited it’s opening in Toronto, finally! Can’t wait to check them out in store. I don’t know if you can come on Tuesday but it would be great to meet in person!